Yesteryear actress Manju Warrier returned to the stage after a hiatus of 13 years at the Navaratri Nritha Mandapam of the Guruvayur Sree Krishna Temple on Wednesday. Thousands of spectators patiently waited for her to perform the ‘Kuchipudi’ dance form, which officially concluded the nine-day Navatrari dance fest on Wednesday night. 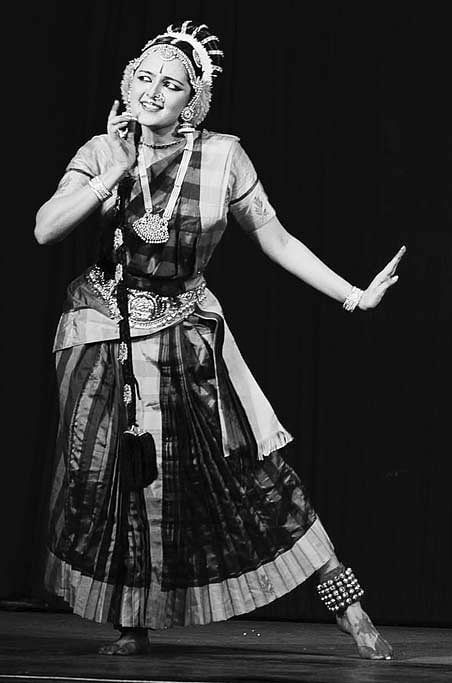 Manju opened her Kuchipudi recital with a fine ‘jati’ preceding the presentation of the ‘Brahmanjali Pooja’, and rhythmically moved to the ‘Narayaneeyam’ with precise footwork, assuring a great show in the offing before concluding her performance with a ‘thillana’. Her performance had a number of brisk and expansive ‘jatis’ interwoven into drama that had an impact at every stage of the show. Her die hard fans, who have been waiting to see her on stage ever since she took a break from acting in 1999, heaved a sigh of relief when the performance concluded. The Navaratri Nritha Mandapam was filled with hundreds of spectators who thronged the place hours before the programme started around 7.30 pm.